WHAT. THE. HELL. This was my thought while watching this film,and I’m still saying this hours later. 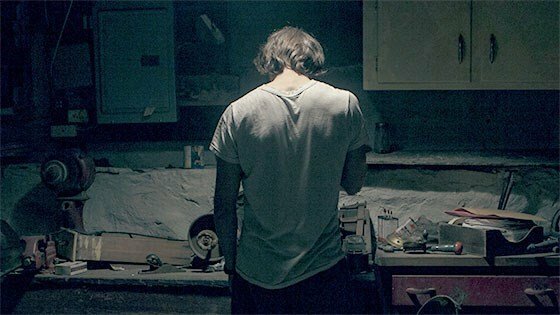 Directed, written, and produced by Perry Blackshear, this a unique psychological horror/thriller film that lingers in the mind. Two guys, Wyatt (MacLeod Andrews) and Christian (Evan Dumouchel) are best friends rooming together, commiserating over females and just having fun. Something’s going on with Wyatt, though. He keeps receiving mysterious phone calls, warning him of “them”. He’s told not to trust anyone because “they” look like people. He starts preparing for doom, while Christian becomes more and more concerned about him. Is Wyatt crazy, or is there an actual threat? This is an incredibly well-done film, especially for one man to have done pretty much everything. The cinematography is good, and there are effective scares. The actors both give pretty solid performances as well. The film will definitely turn some viewers off. The story is not just handed to you, and Blackshear has faith in his audience, expecting them to figure out the plot themselves. This is an obtuse film, and requires your attention and patience. If you’re looking for a unique, psychological film, give They Look Like People a watch. If you prefer your films to not give your brain a marathon though, you may want to skip this movie.